A little news clipping here represents our achievements. 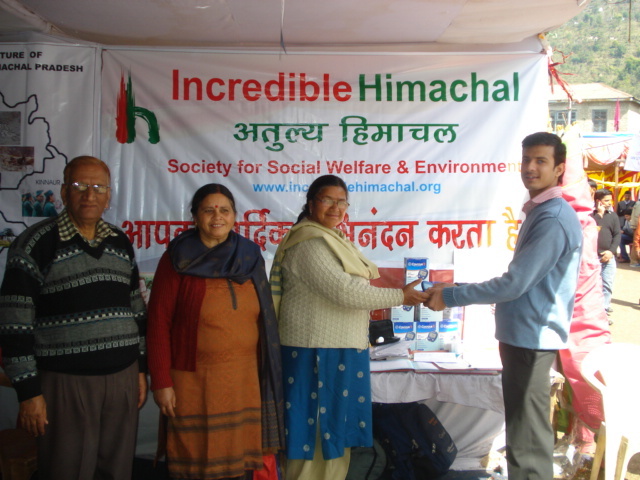 In this program, a Health camp organized at Kohbag, Rural area of Distt Shimla with the association of the “Arogya Bharti”, “Bharat Vikas Parishad” and “Future General Insurance”. 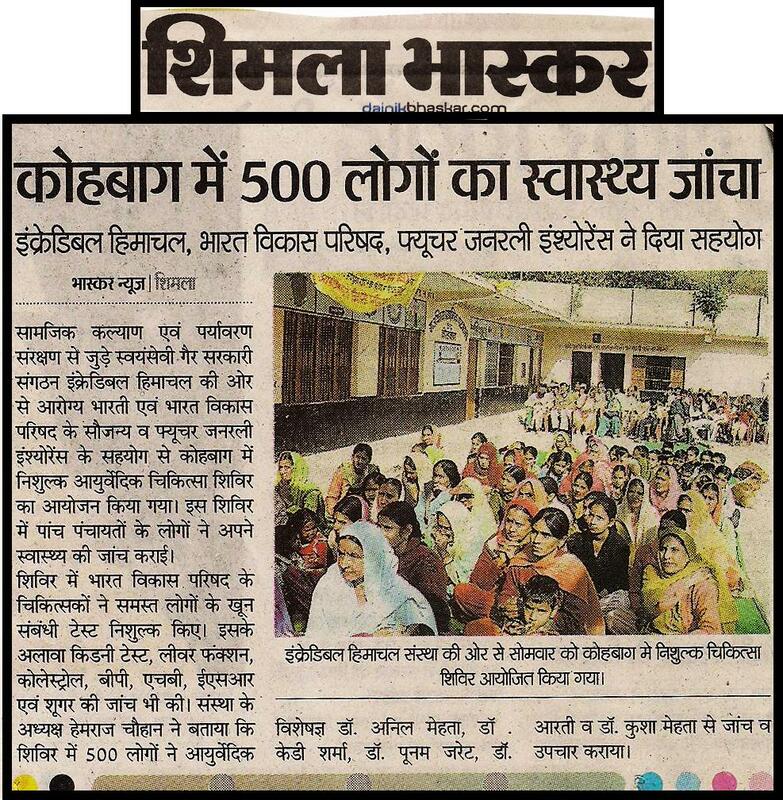 Approximate 500 peoples from remote areas came here for their medical checkup.The Doctors of Bharat Vikas Parishad did a free blood test of all peoples. Kidney test, Liver function, cholesterol, Blood pressure, HB, ESR, and Sugar Test also has been done by the Doctors without any cost. The Chairman of Incredible Himachal elected by the Govt. 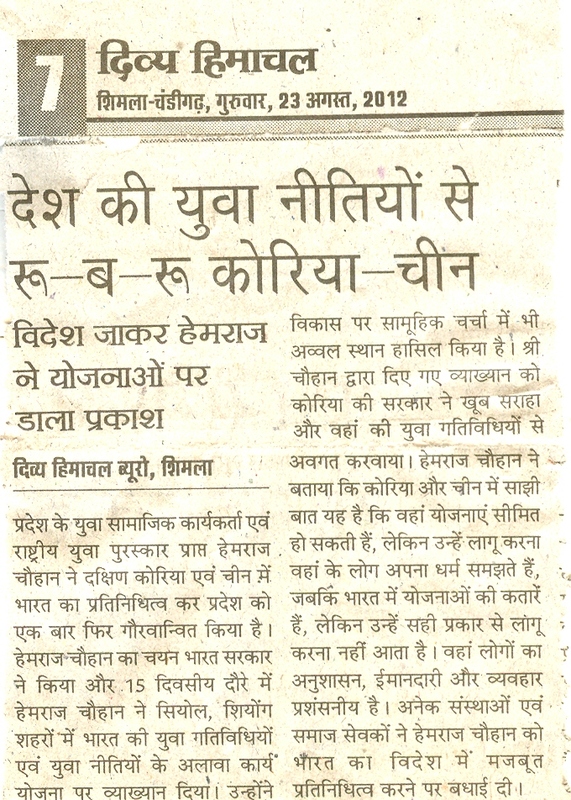 Of India to represent India at Korea & China for Indian Social Activities. Mr. Hemraj Chauhan represented India there strongly and gets praise from differents NGO’s and social activists of China & Korea. 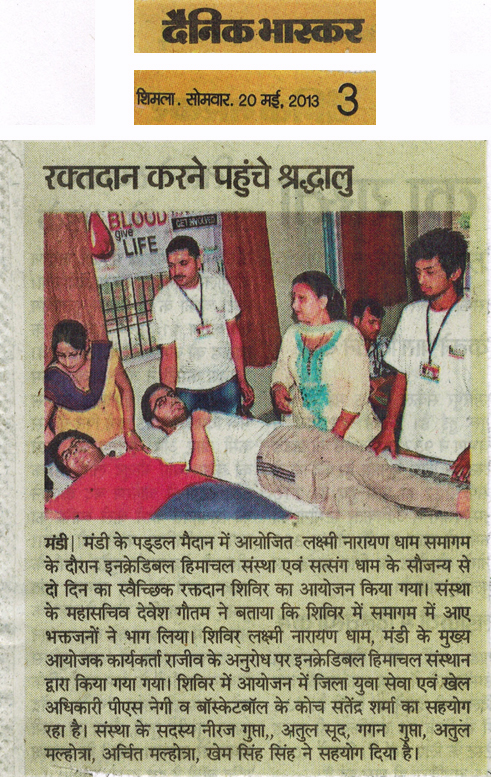 Voluntary Blood Donation camp organized on dated 18-19th may 2013 at Sports Complex, Paddal Ground, Mandi with the association of Blood Bank Team, Zonal Hospital, Mandi.